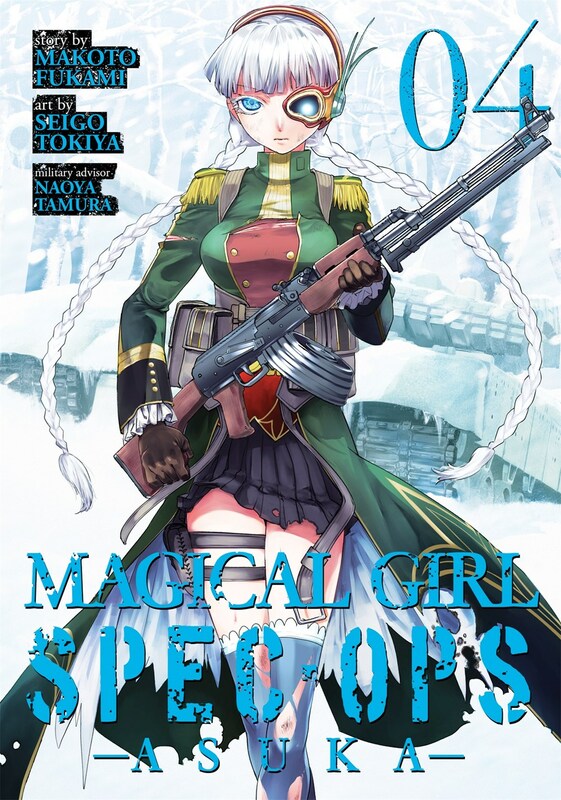 Magical Girl Spec-Ops Asuka manga volume 4 features story by Makoto Fukami and art by Seigo Tokiya. A top-secret summit between the nations of Earth and their otherworldly counterparts draws near–and it’s Asuka and her fellow magical girls that will need to keep it safe. A shadowy organization moves behind the scenes, plotting slaughter and catastrophe. 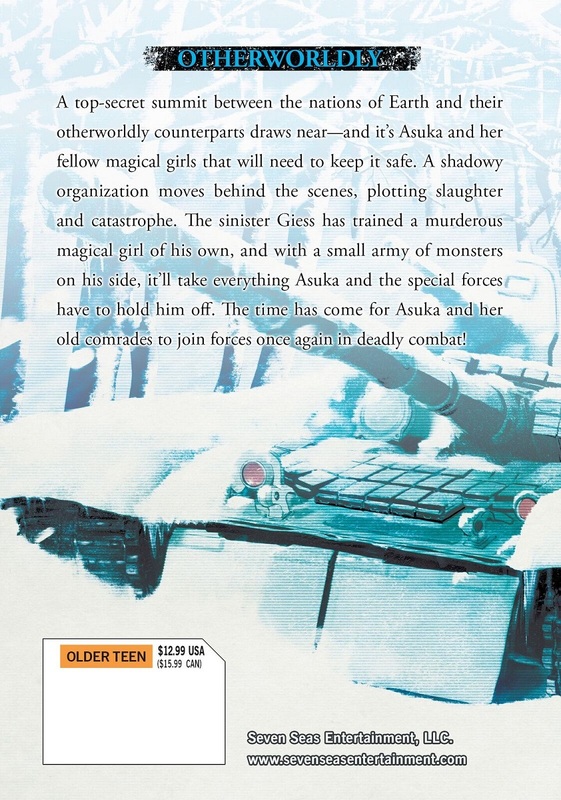 The sinister Giess has trained a murderous magical girl of his own, and with a small army of monsters on his side, it’ll take everything Asuka and the special forces have to hold him off. The time has come for Asuka and her old comrades to join forces once again in deadly combat!